EaseFlex Chews are delicious, soft textured chews, boasting an irresistible natural meat flavour that dogs and cats adore. 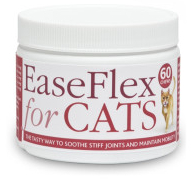 Boasting superb levels of Chondroitin, Glucosamine and MSM, EaseFlex Chews are nutritious and palatable treats that provide a complex and comprehensive spectrum of nutrients which promote mobility and normal joint function. 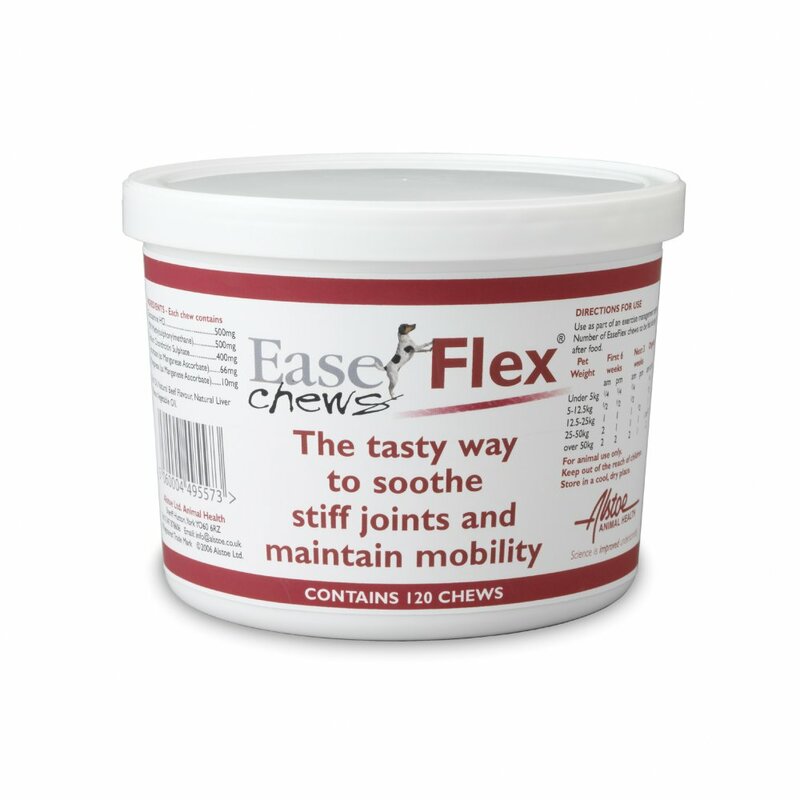 Using a tasty, soft-textured, meat flavoured base, EaseFlex Chews are readily accepted, even over prolonged periods of time. Ideal for all dogs including ageing pets with dental complaints, EaseFlex Chews is a top quality, delicious chew, designed to treat your dog's palate and joints. Please note: The expiry date on this product is in the American style of MM/DD/YYYY. Normal caution should be given in pets with a history of diabetes, metabolic disorders causing hyperglycaemia, urinary tract stones or allergies to shellfish. The plus chews for dogs also contain Green Lipped Mussel. Below are some recent questions we've received regarding EaseFlex Chews for Dogs & Cats, including answers from our team. How much Green Lipped Mussel is in each chew? The standard EaseFlex chews do not contain any Green Lipped Mussel, their active ingredients are derived from other sources. 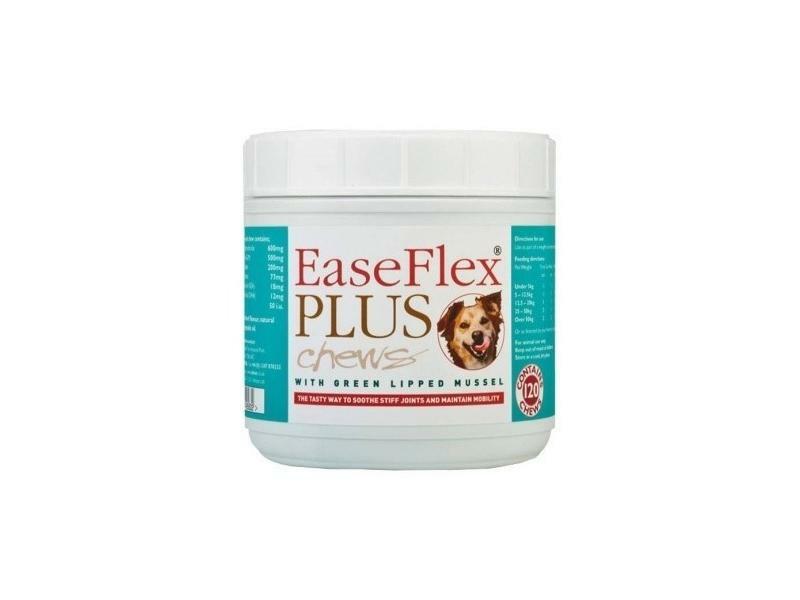 However the EasFlex Plus chews contain 500mg of Green Lipped Muscle per chew.